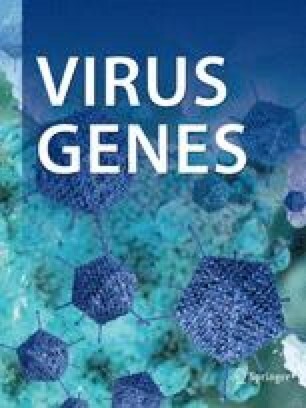 The complete sequence (19,249 nucleotides) of the genome of citrus tristeza virus (CTV) isolate SY568 was determined. The genome organization is identical to that of the previously determined CTV-T36 and CTV-VT isolates. Sequence comparisons revealed that CTV-SY568, a severe stem-pitting isolate from California, has more than 87% overall sequence identity with CTV-VT, a seedling yellows isolate from Israel. Although SY568 has an overall sequence identity of 81% with CTV-T36, a quick decline isolate from Florida, the sequence identity in the 3′ half of the genome is over 90% while the sequence identity in the 5′ half of the genome is as low as 56%. Based on the sequence alignments of these three isolates, sequences in the 3′ half of the genome are generally well conserved, while the sequences in the 5′ half are relatively divergent. Sequence data of independent overlapping clones from the CTV-SY568 genome revealed two regions with highly divergent sequences. In open reading frame 1b (RNA dependent RNA polymerase), there were 118 nucleotide differences that lead to 16 amino acid changes. In the open reading frame of the divergent coat protein gene, 5 amino acid changes result from 48 nucleotide differences. Most differences occurred in the third position of the codons, and resulted in silent amino acid substitutions. RNase protection assays demonstrated that most of the clones obtained are representative of the major RNA species of this isolate. Northern analysis indicated that CTV-SY568 accumulated more viral RNA including genomic and certain subgenomic RNAs than isolates VT or T36 in sweet orange.